Terry graduated from the University of Witwatersrand in Johannesburg in 1981 and completed his radiological training in 1989. 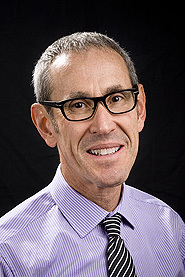 After nearly a decade in private radiology practice in South Africa, Terry moved to Perth in 1998. Here he continued to work in private radiology practice and in 2006 he joined Perth Radiological Clinic. 12 years experience in breast imaging, including all diagnostic and pre-surgical localising breast procedures. Collaborative work with Perth Breast Clinic, breast surgeons and oncologists (Mount Hospital).